Below is a modified version of "Sweet Potato Surprise" found in the Better Homes and Gardens magazine from November 1966. This is a great alternative to your typical sweet potato thanksgiving dish. This recipe has a fruity sweetness with the added apricots and orange peel. Adding the bourbon gives it a surprisingly rich flavor. Boil sweet potatoes until cooked through. Remove when firm not mushy. Remove skins and slice sweet potatoes in thick slices. Place sweet potatoes in buttered 13” x 9” baking dish. In saucepan, combine brown sugar, cornstarch, bourbon, salt, cinnamon, and orange peel. 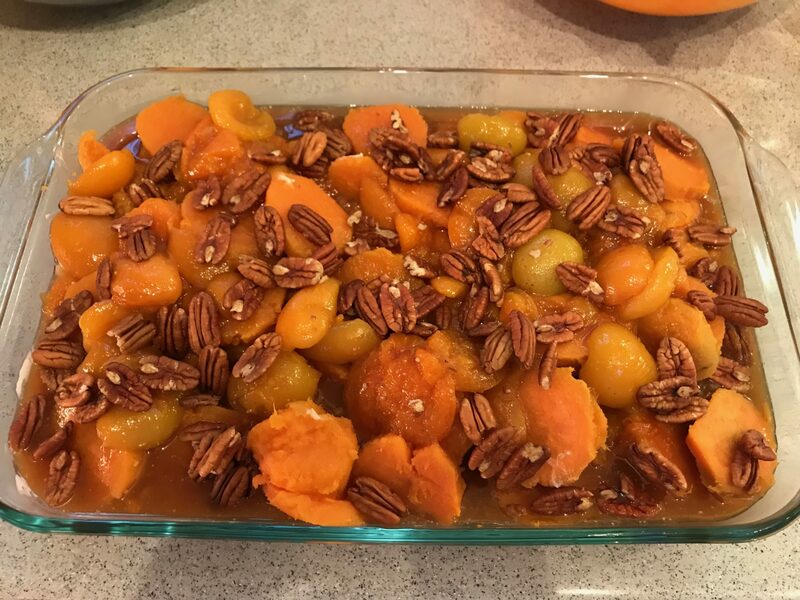 Drain apricots, reserving syrup. Stir in 1 cup apricot, reserving syrup in cornstarch mixture. Cook and stir over medium heat till boil; 2 minutes. 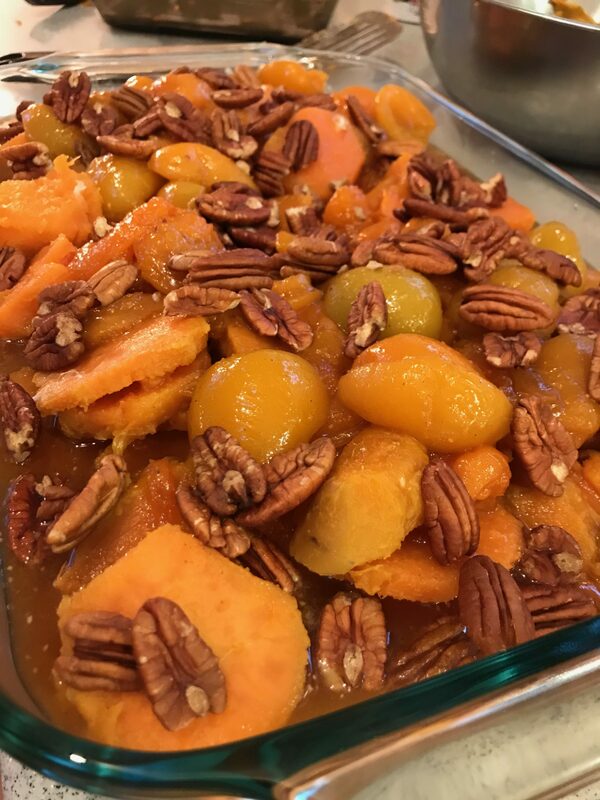 Add apricots, butter or margarine, and pecan halves; pour over sweet potatoes. Bake uncovered at 375 F for 25 minutes. Makes 6 Servings.